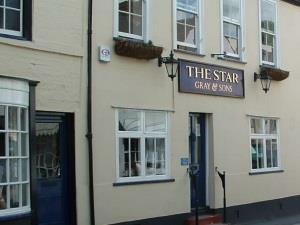 The Star Inn01277 356441work Restaurant - PubWelcome to the Star Inn. Sometimes there is nothing better than popping to the village pub to relax, unwind and be yourself, which is exactly what you can do here. We are located in the pretty village of Ingatestone in High Street next to the church and opposite Pellini’s Boutique. This lovely pub has oodles of history and some say it’s even haunted (although we personally have no evidence of that!!). You will find a welcoming atmosphere with a roaring log fire on chilly days, candle lit tables in the evenings which is complimented by contemporary service. The food is amazing with some reworked English classics with creative and tasty touches. Welcome to the Star Inn. Sometimes there is nothing better than popping to the village pub to relax, unwind and be yourself, which is exactly what you can do here. We are located in the pretty village of Ingatestone in High Street next to the church and opposite Pellini’s Boutique.